I will never plan a Disney trip without Kat Kristoff! Her knowledge of all-things-Disney is unsurpassed, and her enthusiasm makes planning a Disney trip so much fun! 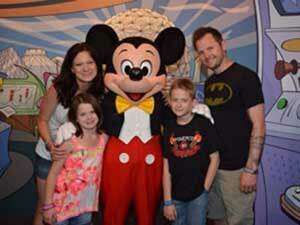 A trip to Disney is magical, but the planning aspect can be downright stressful. Kat completely takes the stress out of planning, and is there for you every step of the way. I highly recommend Kat to anyone planning a Disney vacation and I plan on using Kat's services for future Disney trips!